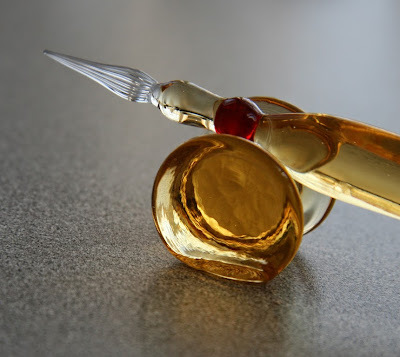 A few days ago I tackled the piles of paper on my desk so this morning a clean desk and my new glass pen, which I purchased at Papier Plume when I was in New Orleans, were an invitation to play. 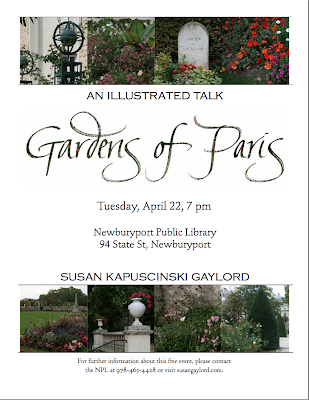 I recently reviewed my slides for my upcoming talk on the Gardens of Paris (Tues, April 22, 7 PM at the Newburyport Public Library) and one of a white rose was in my mind. 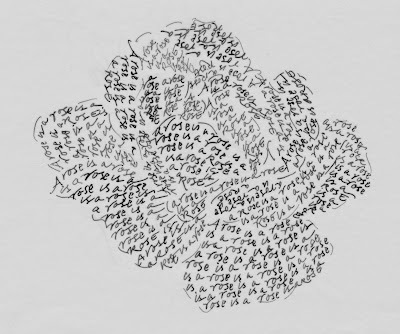 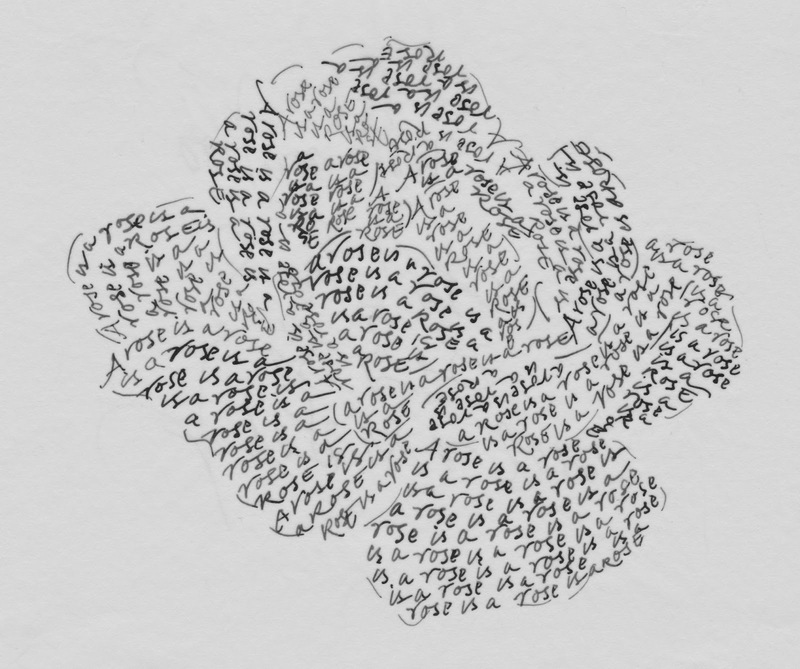 I printed the photo, put tracing paper over it, and filled the rose with Gertrude Stein's famous words.